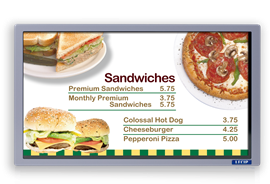 -	Provide more accurate, flexible, and passenger friendly information than a typical LED sign. 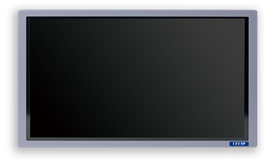 Dual 15” display system to display operational information on the left screen while displaying attractive passenger information on the right screen. Display movies and pictures as required. Route map on the left screen, and advertisement, entertainment, weather report on the right. Our displays allow you to display a wide variety of information: coming stop, the entire system map, transfer points, all the stops for the route the vehicle is on, location based advertising or tourist information, news or emergency/special service information. Easily updated through a USB or Ethernet port, the signs can display image, video or text, and built-in support for standard audio files means they can also make voice announcements. Notify passenger’s current location, stops, transfer info, and destination using existing onboard location systems. You always know where you are and where you are going. Display colorful LCD images, movies, and text for high readability. Support standard audio files (.avi) to provide voice and sound announcements. Set up images (jpeg, bmp, etc. ), video clips (mpeg, etc. ), and text that best suits the transit agency and passenger’s needs. Download data onboard using a portable USB drive or via Ethernet network.